GDocsDrive is a fully functional Google Drive client app, which allows you to manage Google Drive files from your desktop and programs instead of working through a browser — without using disk space on your hard drive! With GDocsDrive, you can harness the full power of your Windows applications to edit Google Drive files with ease – not only documents, spreadsheets and powerpoint slides, but also images, text files, or any format supported by your local software. Let’s face it, we deal with a lot of documents on a regular basis. Having been using Google Drive to save my files for a while now, GDocsDrive sounded like something that will make my life easier straight away. Here is what I found out after taking it for a spin. The client is easy to install and use. 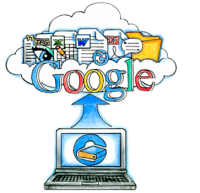 After installation, GDocsDrive will request for permission from your Google Drive account. You don’t have to worry about the privacy of your files since GDocsDrive uses SSL encryption to keep your files secure. I like how GDocsDrive gives me a quick view to the latest 100 items I have used in my Google Drive. It’s a hands down winner in terms of sorting and organization that lets you filter file types for quicker searching. The list also changes depending on which files you are currently using or have just created or edited. Couple this with the intuitive back and forward arrows and you get a smooth client that will put you in total control of your collection no matter the size. GDocsDrive enabled me to edit files locally without having to save them on my local hard drive. Although this might not be a concern to some users, the cumulative size of all documents in your Google Drive can be significant especially if you create documents containing a lot of images. GDocsDrive will give you tighter control over your local storage. GDocsDrive has four view options to choose from. I preferred the Details view option since it shows information about the files at a glance. The other view options that you may want to try are Large or Small Icons, and the List view. This is way better than what you will get when using the Web Based Google drive client. 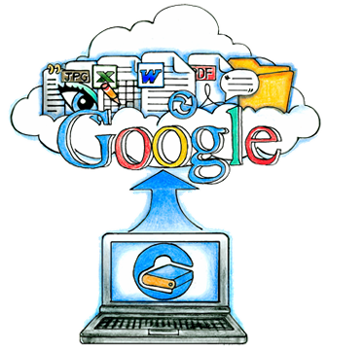 GDocsDrive has a quick search option to look for files stored in your Google Drive. Once again, with Details View option selected, I was able to sort the search results according to size or date modified. Before using this option, all the documents that I uploaded to GDocsDrive created copies, which was really annoying. However, on selecting the ‘Convert uploaded files to Google Docs format’ under Settings, there were no more redundant copies created. GDocsDrive’s computer resource usage is low and impressive. I was able to seamlessly continue with my Illustrator projects and uploading files while it was running in the background. GdocsDRIVE seamlessly syncs Google Drive files when edited locally. However, when I was editing online, I had to close my local file, refresh GDocsDrive then reopen the local file for the changes to reflect. When using files created by other applications like Microsoft Word or Open Office, the syncing wasn’t seamless. I had to refresh the file from my installed GDocsDrive as well as the online version. Provided the ‘Convert uploaded files to Google Docs format’ option remains unchecked, all your local files that you upload to Google Drive using GDocsDrive will create copies. The file copies are those that the app client converts to Google doc format but the original files still remain leading to redundant files. GDocsDrive app client for Google Drive performs really well regarding Google format files. Syncing takes place in real-time. The app’s minimal processor and disk space usage are impressive. It would be a great download if you intend to save, access and edit lots of bulky files but are not willing to download everything to your hard disk. Hi Dennis, thank you very much for your review. Nice but could be better… Should be good to see the space remaining, to use multiple accounts simultaneously, for example… But still good ! Supports Windows XP, Vista, 7, 8/8.1, and 10 (32-bit and 64-bit).